When you're dying alone, you wish for stupid things and a happy ending to your story. When you find a quiet voice that shakes you and a smile that melts your heart, you stray from where you thought you'd always be. Ultimately, we all end up somewhere; our endings either happy, or leaving us broken hearted. When Mingyu was a first year at Pledis university, Wonwoo thought he had the upper hand. A few years later, what would happen to Wonwoo when the tables are turned on him. 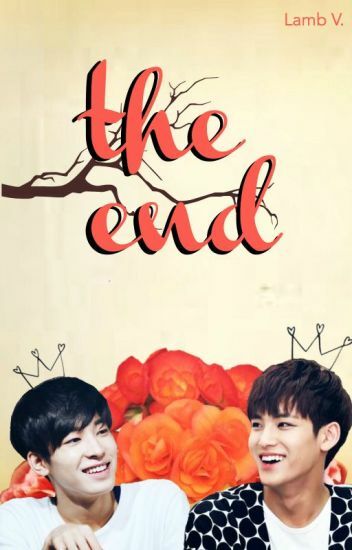 This is a fanfic about the meanie couple in Boy group: Seventeen. Their looks are based on adore you era currently with scoups as exception. (His hair is black)! It might change as the story progresses. Kim Mingyu grew up in an area with a couple of kids living in that area but they are older than him by a couple of years and they would always bully him since his the youngest. One day Mingyu wakes up to a noise and looks out the window to see the house next door was bought and people were moving in. He saw a teenage boy who looks 16 years old, like him. That teenage boy is Jeon Wonwoo. A cold guy that always looks sad, likes to be lonely and doesn't want friends, the complete opposite of Mingyu. Everybody has a love mark and they damn proud of it. Well, except one person that is Jeon Wonwoo. Wonwoo hated his love mark, Why? because that told him that his soulmate must be one of a hella pervert person. During training Wonwoo and Mingyu had fallen for each other. They even started dating. Now, with their debut coming soon, what are they going to do? They're going to tell the rest of the members. How will they take it? What will happen to the once perfectly happy couple? maybe friday the 13th isn't so unlucky after all. the feeling of no caring anymore. Sequel : A few years later.